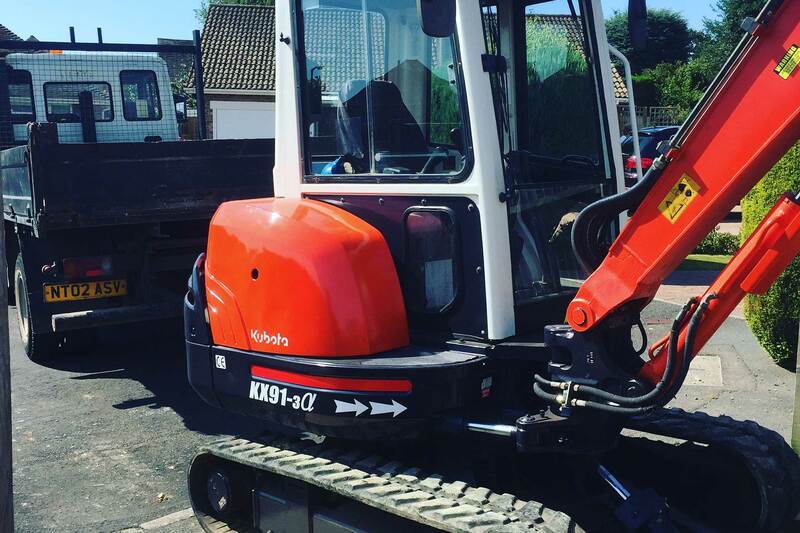 P&D Driveways offer a digger hire service to domestic and commercial clients across East Sussex. We have been operating in the construction industry and serving clients across the county for over 18 years. 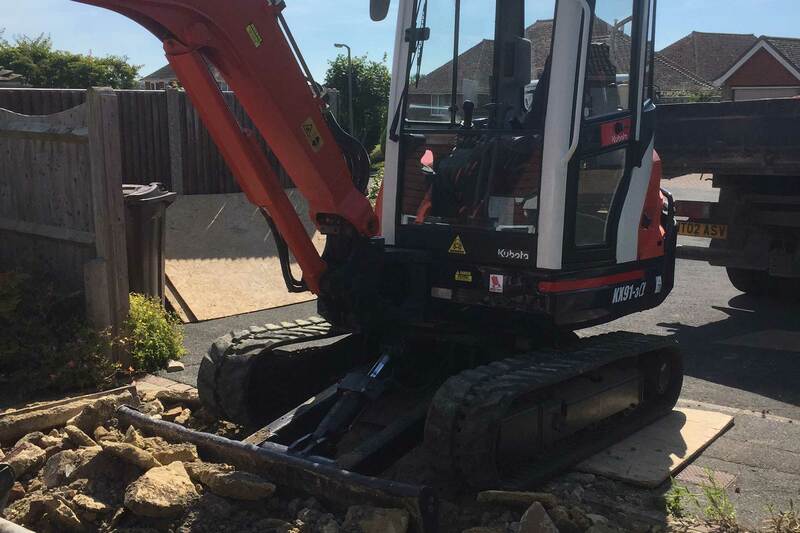 If you are undertaking a DIY project that involves a significant amount of excavation work then a mini digger is the ideal way to complete the job quickly with less manual labour. We also have tipper trucks available, offering the distinct advantage of carrying huge capacities, they make site clearance quicker with less journeys required to the tip. 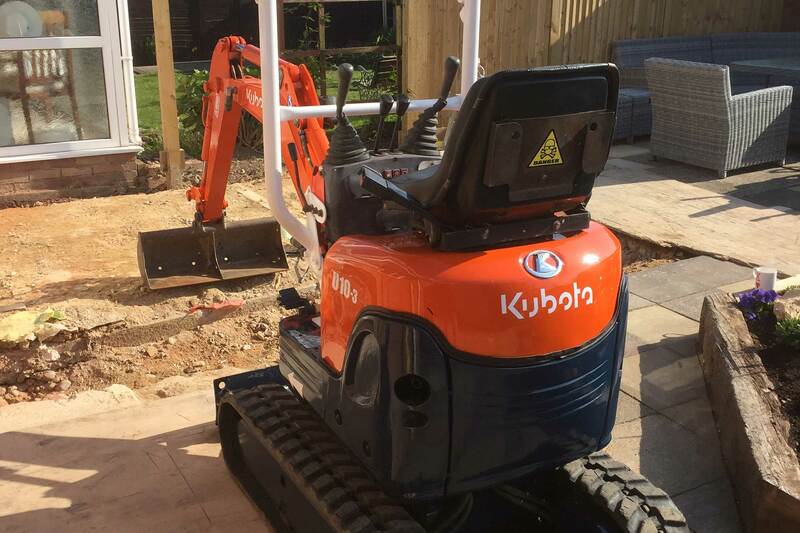 P&D Driveways have a range of mini diggers and excavators available to hire including a 3.5 ton Kubota and a 1 ton mini digger for the smaller tasks. Every piece of plant hire equipment comes with an experienced operator who can assist with the project at hand, as well as the operation of the digger or excavator. Every one of our mini diggers are safety checked on a regular basis to ensure they comply with health and safety regulations and are in reliable, working order for each client. Diggers can be hired on a daily, weekly or more long term basis - our service is flexible and we can work around you and the needs of your project. We also able to offer mini digger hire at short notice or on a planned, pre-booked basis. For more information, or to learn more about mini digger hire prices please get in touch using our contact form or call us on 01323 486 760. P&D Driveways cover other services including: groundworks, vehicle crossovers, driveway builds, patio and paving.